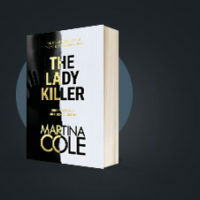 Martina Cole’s first police procedural novel, The Ladykiller, was published in 1993. 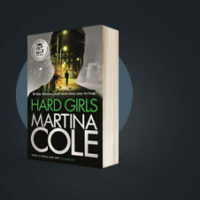 Before this, Martina had chosen to write very much from the perspective of the criminal, but in The Ladykiller Martina tells the story from the side of the law through her female detective Kate Burrows. 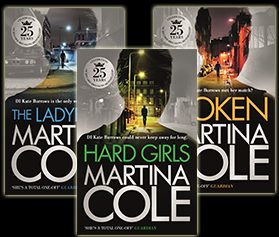 Since The Ladykiller, Martina has written two more Kate Burrows novels, Broken and Hard Girls, and is currently working on her fourth. Here she tells us a little more about her hard-but-fair detective. You usually write from the perspective of the criminal rather than the police. What made you decide to create Kate Burrows? And what was it like writing from the perspective of the other side, the law? I do love writing my criminal characters. But I wanted to try something different with Kate. When I created her, I knew she had to be a strong woman in this predominantly male world, the world of the police. I also found it interesting that such a straight-laced woman could fall in love with a notorious hard man like Patrick Kelly. I still got to have one of my beloved criminals in this story with Kelly! You’ve written three novels starring Kate Burrows so far. What is it about her character that kept you coming back to her? I really enjoyed exploring the relationship between Kate and Patrick Kelly. Kate is a tough policewoman who has risen through the ranks the right way, not through corruption or fear. She’s followed the rules and worked hard, and she’s brilliant at her job. But then she does the unexpected and starts a relationship with one of the most powerful gangsters in town. It was that relationship and how Kate handles it in terms of her career that meant I had to continue to write about her. Well, I created Kate in 1993, so over two decades on she is quite a bit older now! 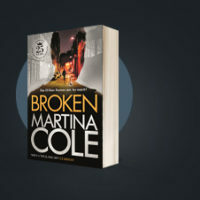 It would be tricky to keep following her story as a policewoman indefinitely, but I do think she should have an end to her story after spending three books with her. That’s why I’m writing a fourth and final Kate Burrows novel where she returns as a consultant on a new serial killer case. I want to see what happens between her and Patrick too, and how their story ends. Would you ever write from the perspective of the police again in the future? I think after the fourth book, Kate Burrows’ story will be complete. But I might create a new detective in the future. You never know. I do love my bad boys and bad girls though, so we’ll see.